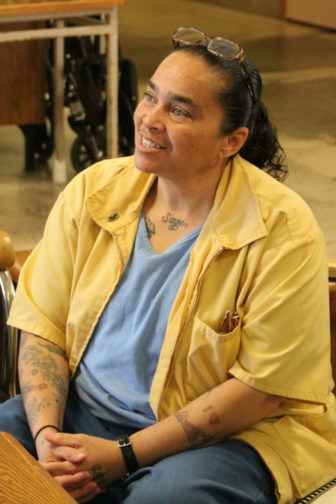 Sabrina Robinson is an inmate who also serves as a certified drug and alcohol counselor and mentor in California's Folsom Women's Facility, where women prepare for re-entry to society. Officials implementing gender-informed practices in California’s prisons say small things can make a big difference. Things like allowing women to wash their own undergarments rather than sending them to an industrial laundry, and adding solid panels to open bathroom doors so women’s private parts are obscured as they shower. But as in other states, significant disparities in discipline rates between men and women still exist. Correctional officer Daniel Johnson, who trains other officers to work with female inmates in the Central California Women’s Facility in Chowchilla, the state’s largest women’s prison, says that women simply do commit infractions more, and sanctions like taking away phone privileges are necessary. “If phone calls…are important to them, [discipline] will curb their behavior for the future,” he said. In a cell, he points out potential disciplinary infractions: items not stored in lockers, papers and photos taped to a wall, an unauthorized cache of food including tortillas and milk. The rules are meant to keep order and protect women’s health, he says, like making sure women don’t eat spoiled food. Some women inmates agree that they break rules more than men, and more sanctions might be justified. LaVerne Dejohnette, 49, has been disciplined for “manufacturing a slashing device” and for “pen pal fraud,” she said, while serving a life sentence in Chowchilla. This year a board recommended the governor commute her sentence. She is awaiting a decision. Other times, inmates say, women are disciplined unnecessarily or unfairly. “You can get written up for altered clothes on – but it can be your own clothes that you done had and just decided to make shorts out of,” says Victoria Williams, 58, originally from Gary, Ind., who is serving 25 years in Chowchilla for a burglary conviction under the state’s three-strikes law. He says the gangs that proliferate in men’s prisons actually help maintain order in part by imposing a strict hierarchy. Women interact more freely, and more dramatically, with each other and with correctional officers. Tracy Johnson is the associate warden at Folsom Women’s Facility, where women with less than five years left on their sentence go for job training and counseling to prepare for re-entry. 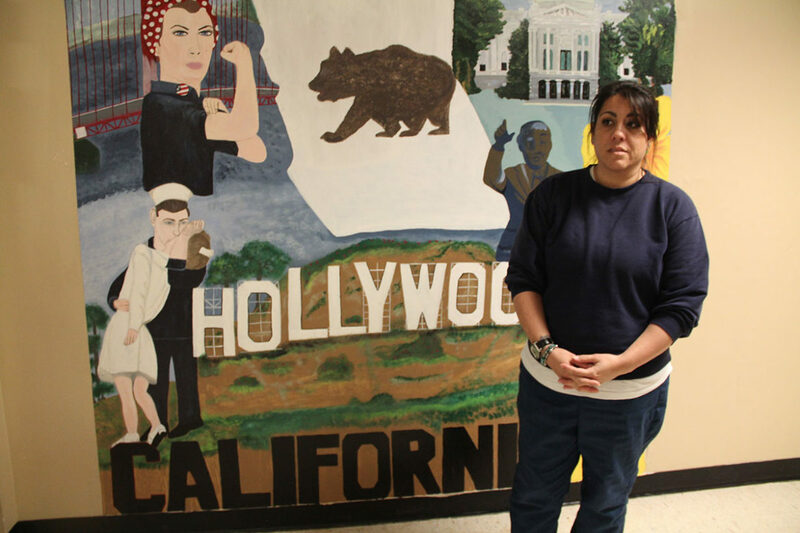 She previously worked in San Quentin, the men’s maximum security prison, and notes the stark differences in behavior. Female prison inmates are being disciplined at much higher rates than men for lower-level offenses in many states. When people are treated with humanity and dignity there are far fewer behavior problems.